I used them for many years. They're great. They're 100% on their quality and customer satisfaction. They make sure they take care of anything you need. They are very patient and very easy to deal with. We were really satisfied with them. They were professional. They knew what they were doing and they reacted very quickly to my individual needs. They were very flexible in dealing with my needs. I appreciated their willingness to understand my problem and get the job of repairs to my shades done quickly. They were very responsive to everything. It was all very pleasant with professional service. It was terrific. They basically did what they said they were going to do. They have some very creative people, so when you need creative help they offered that. If you went in knowing what you wanted, they had the right help for that too. 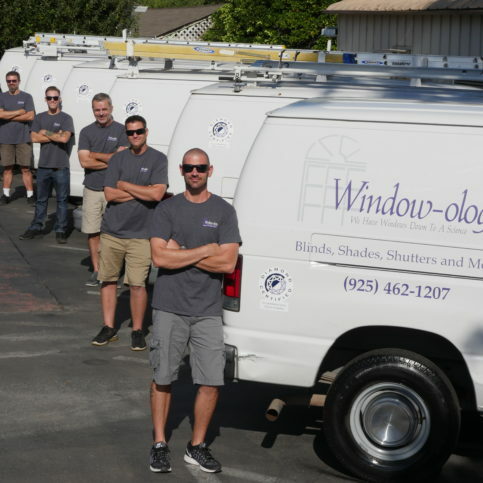 Window-ology offers window covering products and services to residential and commercial customers throughout the Bay Area with additional locations in four states. The company provides sales, installation and repair services for blinds, shades, shutters, draperies, motorized window treatments, solar screens, exterior awnings, and more. 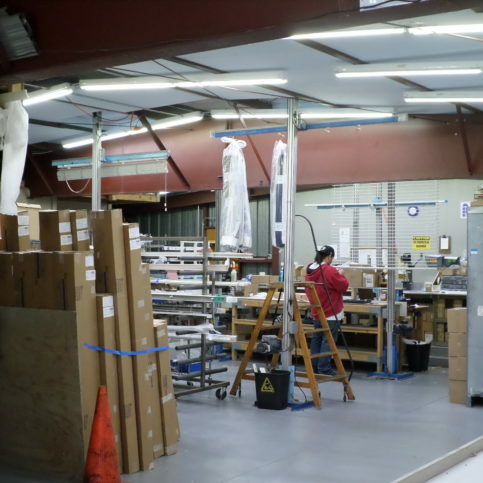 Owners Alan and Chris Robinette explain that since Window-ology manufactures many of its own products, the quality of its materials and workmanship is consistently high. 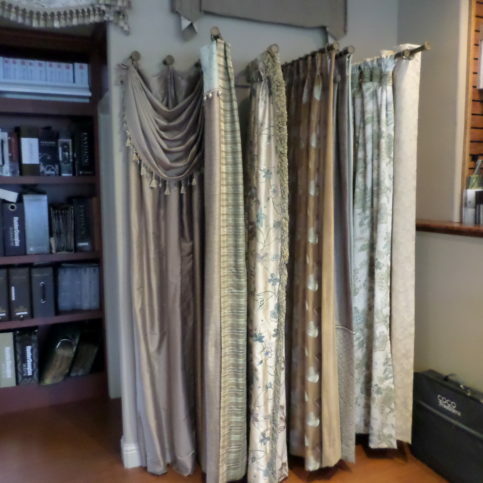 All the company’s window coverings are built specifically to order and size, and it offers free consultations to guarantee clients’ specifications are met. 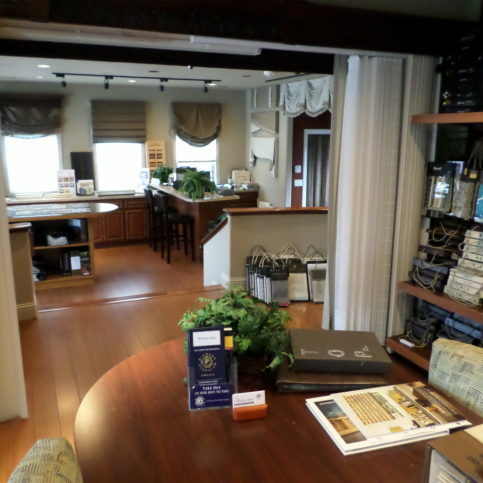 Window-ology’s expanded showroom lets customers see window covering options in various home environments. The company can also bring its services to clients’ homes to measure windows, discuss options, help choose treatments and follow up with professional installations. “We’ve been serving clients in the Bay Area for 26 years, and we look forward to serving every customer,” says Alan Robinette. Window-ology also offers a variety of shutter options from several different manufacturers, including solid wood, composite wood and other combinations. The company’s focus on workmanship and quality control is enhanced by its staff of long-term employees, who, according to Ms. Robinette, know how to build and repair all products and take pride in their work. “All our installation crews are trained to uphold our professional standards,” she says. 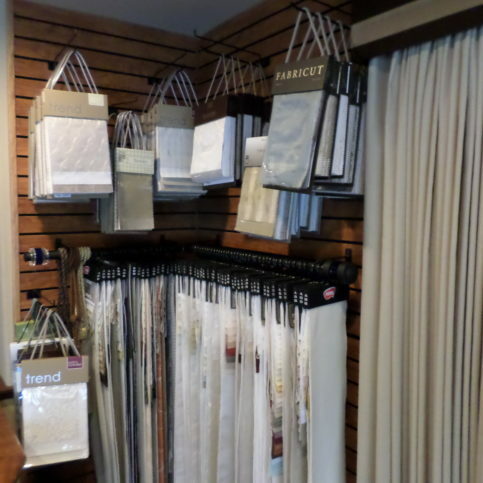 Choosing the right window coverings is an exercise in personal preference. • Measure and determine the proper size and fit. • Make sure they control privacy and sunlight. • Consider the product’s energy efficiency. • Determine if it allows for simple cleaning and care. • Choose the right size and mount for your windows. Older window frames are usually deeper and more suited for an inside mount, while newer, shallow window frames are built for an outside mount. Some windows, such as those in bathrooms or bedrooms, require extra privacy. 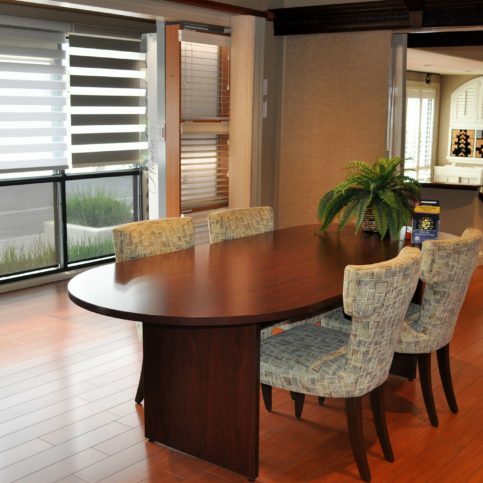 Choosing PVC vertical blinds, pleated shades or cellular shades with privacy backing can help. Some mini and wood blinds also offer additional privacy. If a window faces a brightly lit area, the same qualities that provide privacy can also keep light out of a room. Some people prefer blinds that offer more privacy on the bottom while allowing light to come through the top. Look for blinds that offer a top down/bottom up control. Dusty homes can present a challenge for blinds. Aluminum mini blinds are easy to maintain and only require an occasional dusting; some aluminum mini blinds come with an anti-static finish that repels dust. If necessary, they can be easily cleaned with a mild soap and water. If you have children or pets, PVC vertical blinds are durable and can be easily wiped clean with a cloth and mild cleaning solution. If you put blinds above a sink or in a room with high humidity, choose a water-resistant style. PVC vertical blinds, vinyl blinds and aluminum mini blinds hold up well in damp rooms. For businesses and other commercial projects, choose products that are durable and can easily be maintained and operated by different people. • Does the company offer a wide variety of options and manufacturers? • Can you view samples? • How knowledgeable is the contractor at the first meeting or call? • What’s their background in design? • What’s their experience with installations? 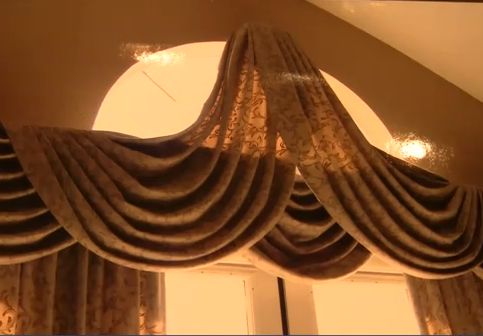 Q: How do I clean my shades, blinds or drapes? Q: Should I choose solid wood over composites with a veneer? Q: Can PVC or poly shutters be painted? Q: Is child safety a concern? 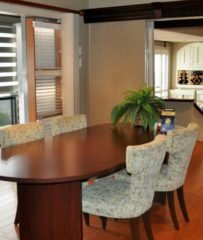 PLEASANTON — When it comes to choosing window coverings for your home, one option to consider is cellular shades. Also known as “honeycomb” shades, this versatile window covering product offers a variety of functional and aesthetic benefits. One advantage of cellular shades is their small stack height, which means they compress tightly when raised and cause minimal obstruction of window views. Additionally, cellular shades’ dual-fold character allows them to be lowered from the top-down, providing privacy on the lower half of the window without having to be fully closed. Another advantage of cellular shades is they’re available in cordless versions. Cords can be an eyesore and even pose a safety issue (especially for young children), so cellular shades are a great way to optimize safety and get a clean look. Also, since cordless cellular shades don’t have any cord holes, they provide better light control. Further advantages of cellular shades include design variety (they come in hundreds of colors and textures), ease of use and superior insulation. PLEASANTON — Host, Sarah Rutan: If you’re planning to install new window coverings in your home, one product worth considering is cellular shades. Today we’re in Pleasanton with Diamond Certified Expert Contributor Alan Robinette of Window-ology to learn more. Diamond Certified Expert Contributor, Alan Robinette: So, many people already know that cellular shades have three wonderful advantages in that they disappear and open the window so well, they create a wonderful insulation, and they also give you a perfectly open view when you want to be able to see out. There are no cords visible anywhere and there’s no — because cords are really not a very pretty thing to have. There’s also a safety issue that goes along with that. So, we build our shades — whenever you let us — we build them with the cordless system and then we can do two other things that are very nice. Don’t know if it shows up in the picture or not, but this is a linen weave fabric, so it has a lot more texture. Comes in — we can do this in about 800 different colors. So, the selection is immense, the fabric is beautiful, and completely cordless gives you a more beautiful look. Easy function and a window that can be opened and cleared when you want it. Full privacy when you want it and the best energy efficiency of any window covering product. So, another wonderful feature of the cellular shade is the ability to lower from the top-down. We refer to this as a dual fold. Some refer to it as top-down bottom-up. This allows you to have privacy in the lower half of the window and open view on the top. This can be done with regular cords or, like in this example, the way we’re making it here. We always prefer to do cordless. 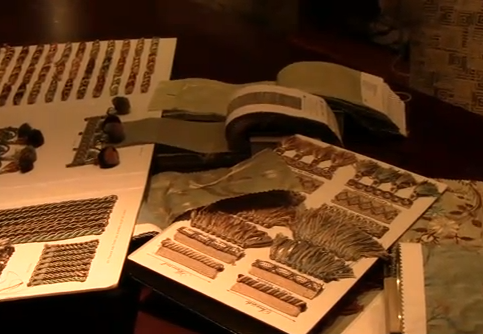 Pete Colucci: My clients ask me all the time, they say, “Pete, can I mix colors, textures, and patterns?” Yes, you can. For instance, I’ve got all of these colors hanging out here. And I just wanted to let you know that you can use orange with blue. You may look at this going, “Oh, my gosh. This is going to be the sofa?” No. These are actually pillows on the sofa so that don’t be afraid to kind of mix and match them. I mean, you’ve got the, an alligator print. And you also have some, a pattern going on here. But, yes, those can be in the front. This could be in the back. And everything is great. This could also be a drapery. So, don’t be afraid to mix and match. So, when you get into a big room, your feeling is you kind of want it to go, “Ah. Perfect.” Yeah, so, and that. Also, another one is, another color scheme that I like to use, and I take this from my travels to Italy, that Italians like the blue and the yellow going on. So, once again, this could be a pillow in the front. This could be the pillow in the back. So, don’t be afraid. Don’t be afraid. Window-ology : Average 9.3 out of 10 based on 275 unique customer surveys of customer satisfaction. I thought they did good, I have nothing bad to say. They were very straightforward. They were fast, everything was really smooth. I thought they had their bases covered. From start to finish, everything was streamlined. They have a customer relations person who manages all the designers, installers, and customers. 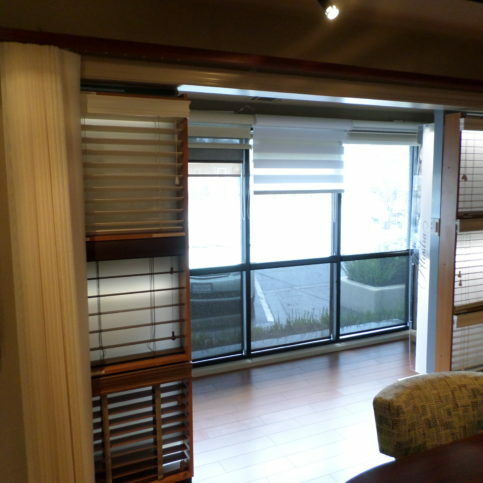 They did really well with everything, we had custom shades and blinds made. I couldn't be happier. I think they are very professional and they care about the customer. They have a lot to pick from, if you need help they will send out a designer, the install will happen within hours, and the products are quality. The product is high end, the shades are really nice. They helped us quit a bit some shades and mini blinds we were replacing, so we could sell one of our homes. It made the place look ten times better. They did great. We love our new shade. They were fast and the product they suggested is perfect. 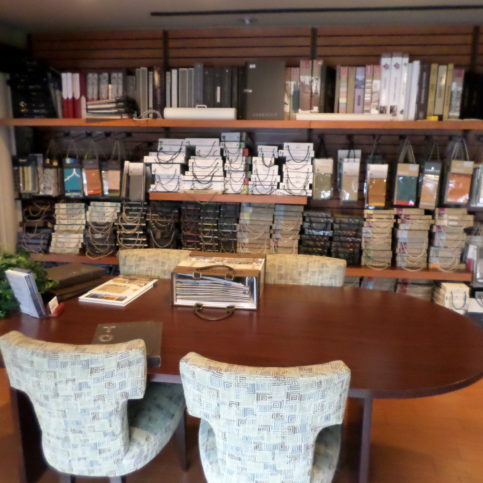 We loved the designer who came out for our blinds, she was able to find the right material based on what we wanted. The install was done within hours after the blinds were made and shipped. 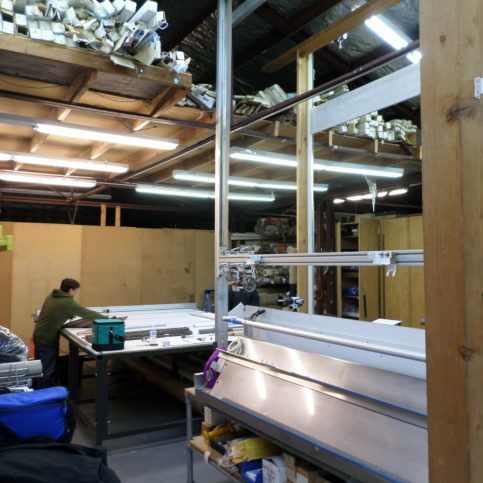 Everything, the install, the designer, the actual blinds, it all is really good. I have recommended them a couple times, they were amazing, I love my new shades and mini blinds. I thought the products I bought were great. It was unfortunate they didn't install them in the right places the first time, which caused some patching and paint before some could go back up, but they made everything right after the mistake, and everything looks amazing, so giving them a "10" because everyone makes mistakes. They fixed their mistake and made everything look like it was supposed to. They did a good job for us, we used them for the business here, couldn't have asked for more. They are professional and understood our needs. The install only took a few hours. They are good, they helped with a lot of new windows that were installed, I love the shades the best. The installation was easy, the designer knew what they were doing. 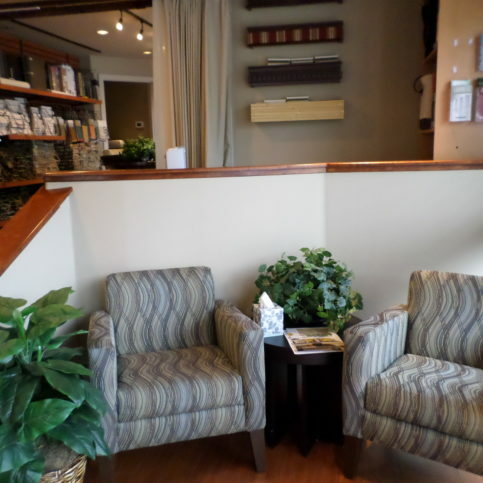 They have done multiple projects on a couple remodels we have done. They are reliable and fast. Their reliability, you can trust they will get things right. They had a great selection depending on what you will be needing them for. They will be able to address a lot of different things, not just one single thing. They helped us a lot in this situation. They were able to get all the equipment up for us before the inspection, which was the extra mile, they didn't have to put a rush on it, but they did. They rushed everything so we could get all the things into our home before the valuation. I thought the information they provided gave me the ability to make an educated decision on the actual product. They, as a company, are very professional, followed through, and made the whole process very easy. Overall, their company as a whole is the best thing. I think they're very good, but they're pretty pricey. They knew what they were talking about. They were pretty good on everything.